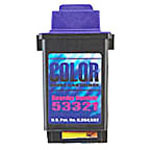 This cartridge contains dye-based cyan ink for use with the Primera Disc Publisher/AutoPrinter 4100, 4101 and 4102. 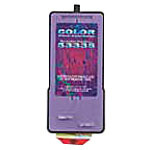 This cartridge contains dye-based magenta ink for use with the Primera Disc Publisher/AutoPrinter 4100, 4101 and 4102. 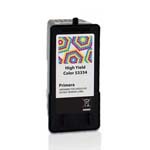 This cartridge contains dye-based yellow ink for use with the Primera Disc Publisher/AutoPrinter 4100, 4101 and 4102. 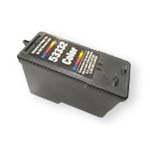 This cartridge contains dye-based black ink for use with the Primera Disc Publisher/AutoPrinter 4100, 4101 and 4102. 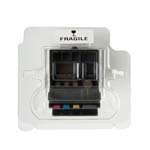 This cartridge contains dye-based black ink for use with the BravoPro Disc Publisher/AutoPrinter and LX800 Color Label Printer. This is the standard color ink cartridge for use with the BravoPro Disc Publisher/AutoPrinter and LX800 Color Label Printer. Green and Black paneled ribbon for two-color printing. Wax/resin-based and highly scratch-resistant. Prints on standard lacquer and thermal printable media. Each ribbon prints 350 discs. We'll Beat Any UK Price! This is the standard color ink cartridge for use with the Bravo SE Publisher/AutoPrinter. 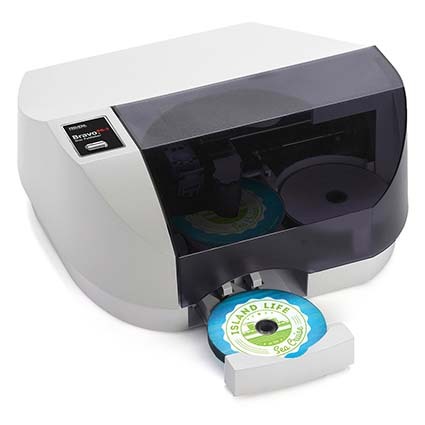 Primera Disc Publisher SE-3, DP-4200 series and DP-4202 XRP series CMY Ink Cartridge. 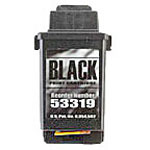 This is the standard black ink cartridge for use with the Signature III / IV / Pro and Signature Z6 printers. 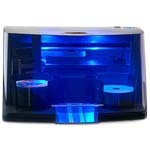 This is the standard Colour ink cartridge for use with Signature Pro printers. This is the photo color ink cartridge for use with the Signature Z6 printer. This CMY cartridge adds light cyan and light magenta.